The programming heart of every radio station lies in its prime time shows. Though, personally, Ia��d like to consider every hour on radio as prime time, only the morning and the evening shows get to wear that tag. 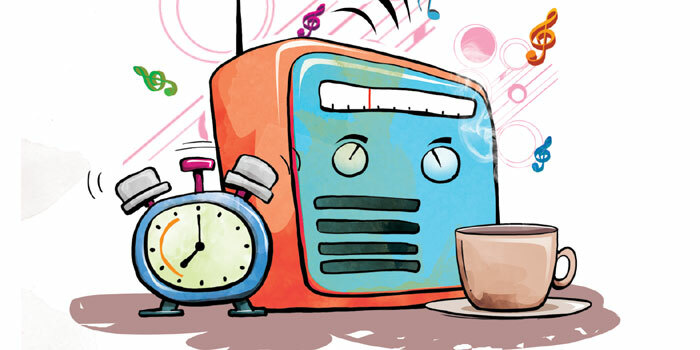 The morning show is considered the flagship of the station and radio units all around the country work tirelessly to provide their listeners a great start to their day. As simple as it sounds on-air, the work that goes into the morning, or the breakfast offering, from a station, is tremendous. The reason why breakfast shows have the ability to go down as hits with the public (which often happens if the content isna��t serious) is its timing, as radio gets consumed heavily between the time band of seven and 11 in the mornings. You drive to work with a million thoughts in your head and the least you can expect as a listener is an easy experience with your radio set. When it comes to morning shows in Chennai, there have been a few presenters whoa��ve made you smile every time you heard them. Ajay Titus of Radio Mirchi has been doing a great job for quite some time as has Sulabha with her fantastic on-air presence. One cana��t forget Suchia��s contributions to the breakfast foundation or overlook RJ Dheenaa��s Guinness Record. When it comes to other cities, Malishka in Mumbai rocks the air waves and is a household name, and there are a few good souls in Kolkata and New Delhi as well who make sure your mornings are happy. Chennai Live has a brand new a�?happya�� offering, in the form of Metro Mornings, and ita��s hosted by the vibrant and bubbly RJ Jane. The show has a fantastic design and ita��s between seven and 11 am on weekdays. The pundits of radio have said that you have to get your a�?Ma��s righta��your mornings, marketing and music. Once youa��ve done that, as a station youa��ve scored your home run!